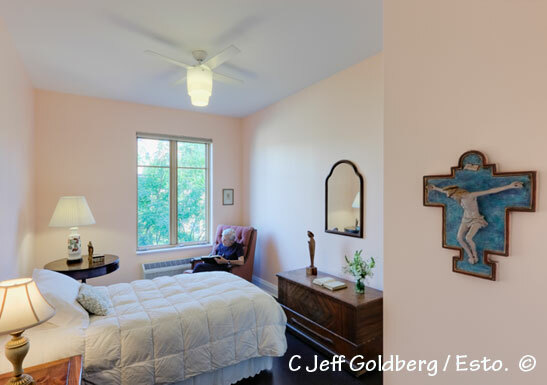 ICS Builders, Inc. were retained as General Contractor for the construction of a new convent, St Hilda’s House, for the sisters of the Community of the Holy Spirit. 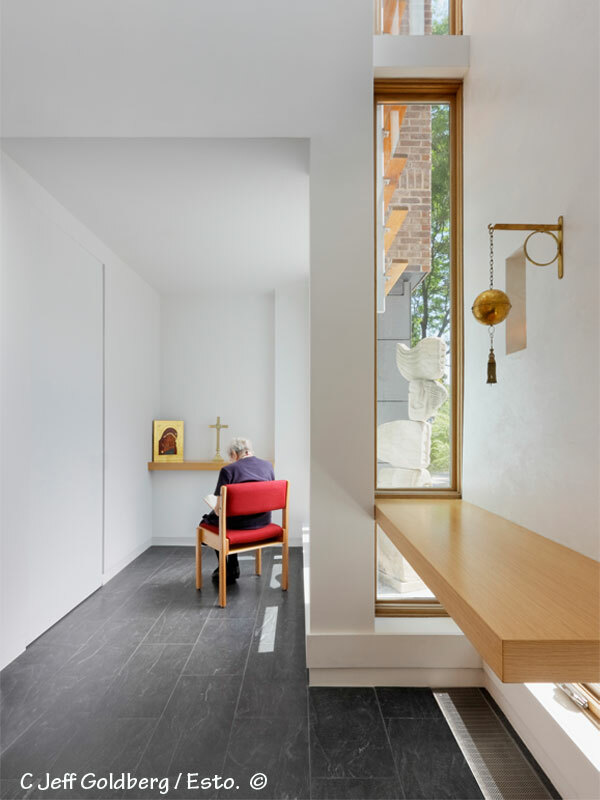 The facility design highlights reflects the resident nuns’ desire to connect more profoundly with the natural world and live in an environmentally friendly manner. 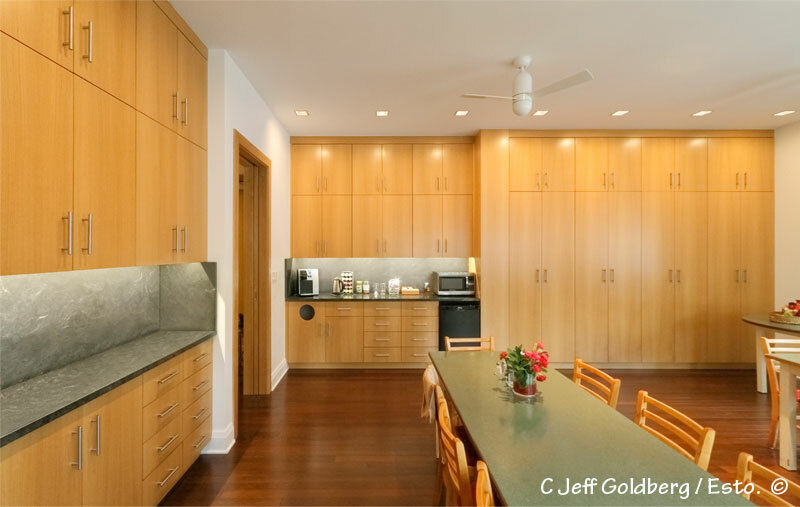 Accordingly they selected ICS Builders, Inc. for the project as the company demonstrated their true understanding of the project’s technical and philosophical goals. The project was ground up construction of a new four story facility totaling 10,600 Sq Ft. This facility has two green roofs and was completed on a 12 month schedule including excavation, construction of grade beams and spread footings, foundations, erection of a hybrid steel and light gauge structural system, building, mechanical, electrical and plumbing systems and all interior finishes. 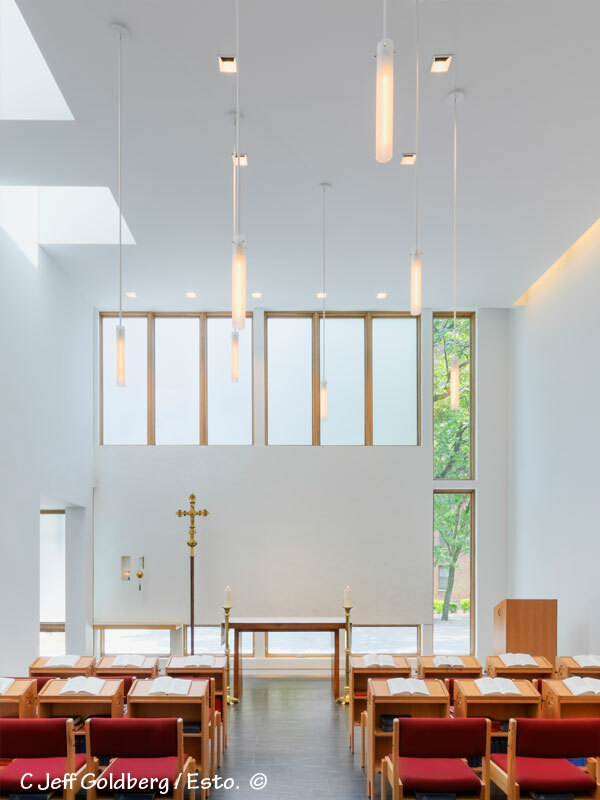 Interior spaces are designed to inspire quiet contemplation and include an entrance lobby, chapel, community dining room, kitchen, silent dining room, offices, conference room, library, sitting room, twelve cell bedrooms along with two guest rooms and an elevator. 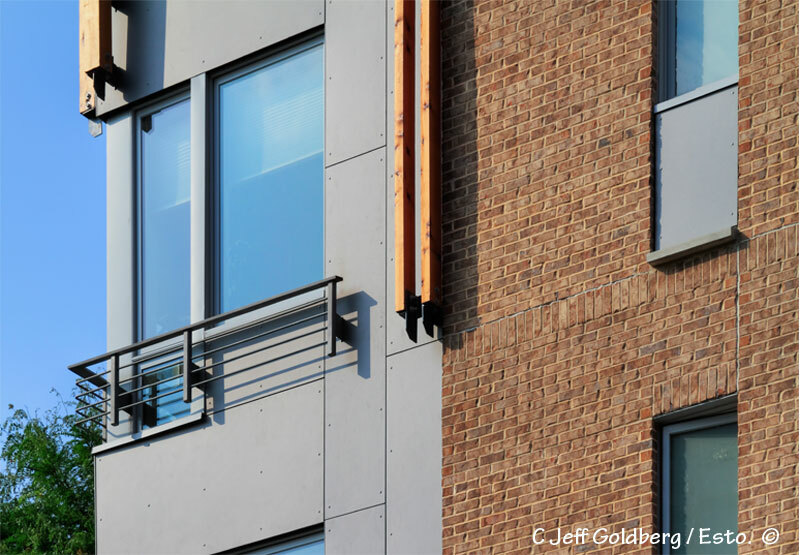 Green elements of the project include Energy Star certified windows to maximize natural ventilation along with a solar water heating system and an HVAC system that included Packaged Terminal Air Conditioners. 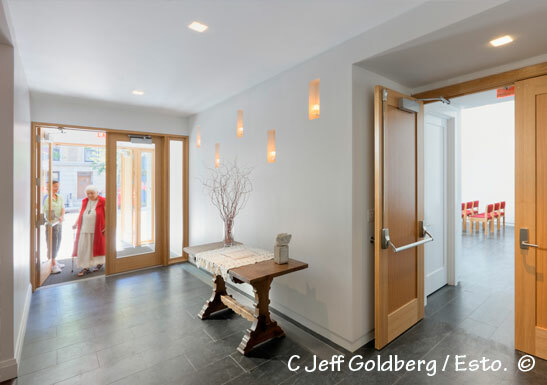 The facility houses a variety of eco friendly flooring materials such as coconut wood, cork tile and locally sourced stone. Other features include Recycled Board Millwork, Green Label Plus certified carpet, venetian plaster and drywall with high recycled content. 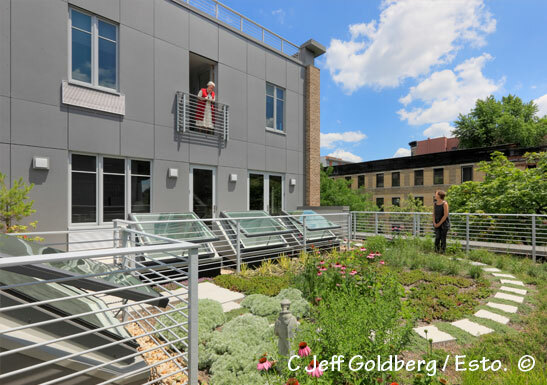 The green roofs compliment these other elements of the project and offer a peaceful natural environment to match the spirituality of the buildings’ occupants. The roofs include a pergola, sitting areas, shallow root plant landscaping and a rain HOG modular tank for collecting rain water to irrigate the plants. Today the building stands as one of the most architecturally significant structures in West Harlem. 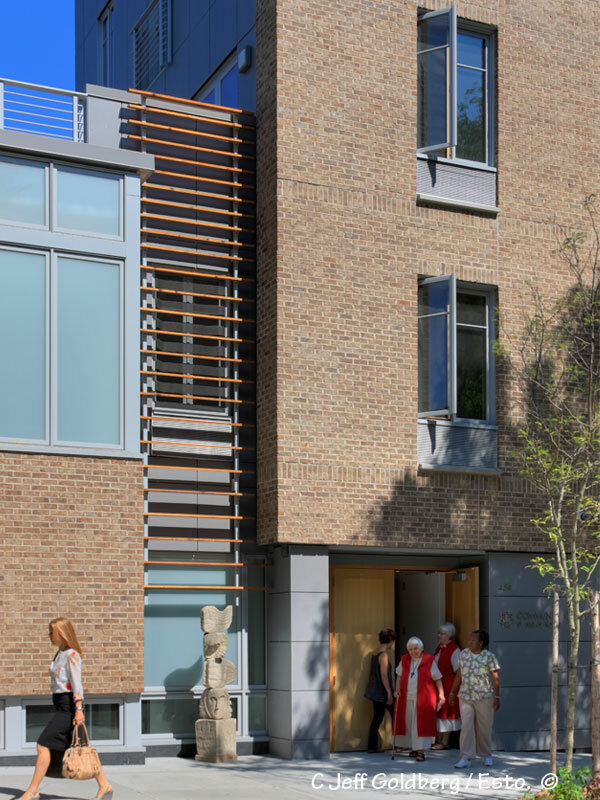 The convent’s elegant and understated architecture complements the surrounding urban, residential neighborhood and reflects the sisterhoods’ union of environmental consciousness and religious reverence.